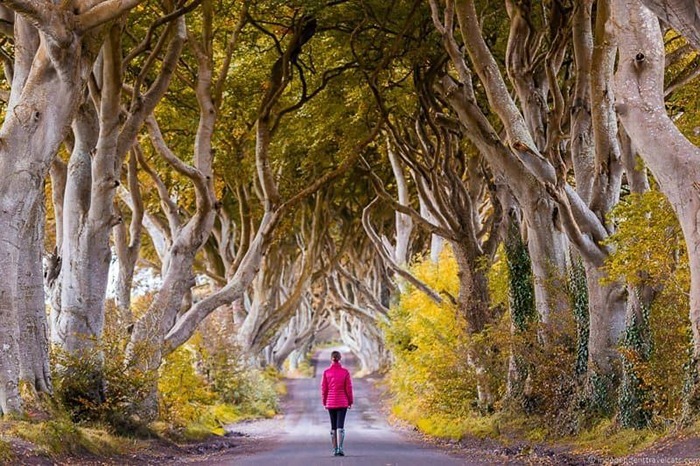 Made famous from Game of Thrones, these beautiful landmark is located in Ballymoney, Co. Antrim. Featured in Season 2, Episode 1: The North Remembers – On the King’s Road, Arya Stark has escaped from King’s Landing, disguised as a boy. She is with Yoren, Gendry, Hot Pie and others who are to join the Night’s Watch, in a cart, travelling north on the King’s Road. This beautiful avenue of beech trees was planted by the Stuart family in the eighteenth century. t was intended as a compelling landscape feature to impress visitors as they approached the entrance to their Georgian mansion, Gracehill House. Two centuries later, the trees remain a magnificent sight.